Just wanted to share another GORGEOUS shop that we found while exploring Waco — Shabby La Chic Boutique and La Grange on Austin Avenue. 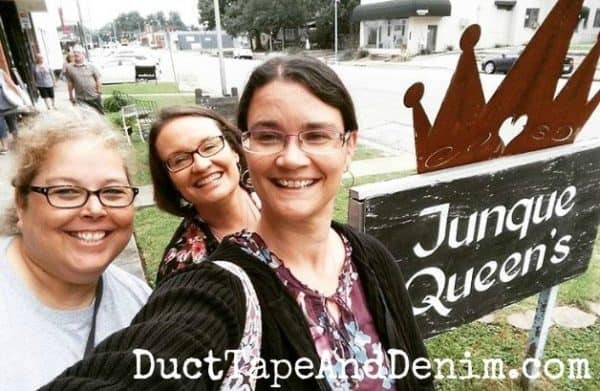 Yes, even though we’re standing in front of the Junque Queen’s sign this article is not about them. They (and the other shops on Austin Ave.) had signs that said “no photos”… so we respected that. 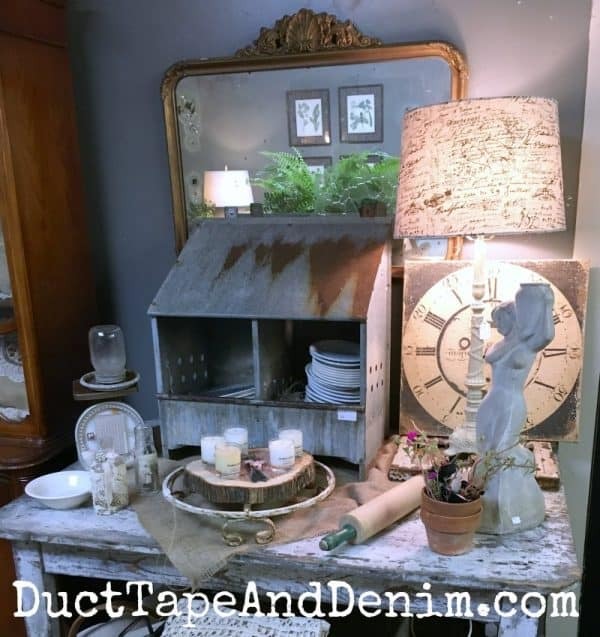 But keep scrolling down, there are some beautiful vignettes of antiques and vintage finds at Shabby La Chic! The ladies in the shop were so friendly and helpful. They let me walk around the store and take pictures. 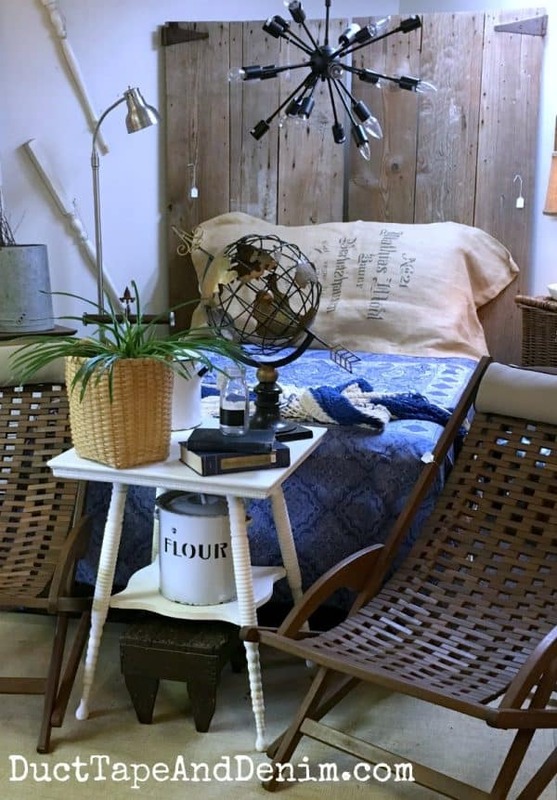 I loved the way they styled their finds! 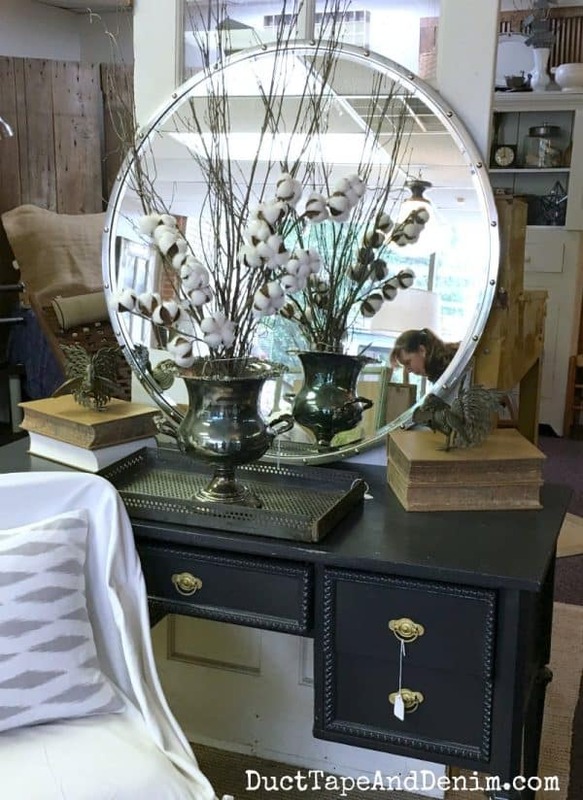 This gorgeous black desk was near the front where the mirror would reflect the light coming in the front windows. This bedroom set was at the back of the store. 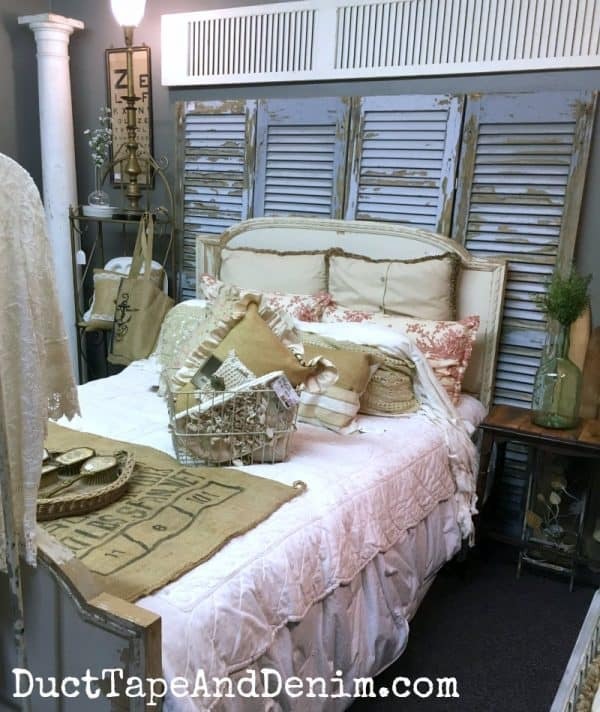 Don’t you love how they used those vintage shutters? Since we had the Sister Chicks together, you know we had to hunt down some “chicken antiques”! We found a nesting box, feeders, and waterers! I really like the diversity in this shop. I like to throw a little mid-century in with my rustic decor! What do you like best about this photo? 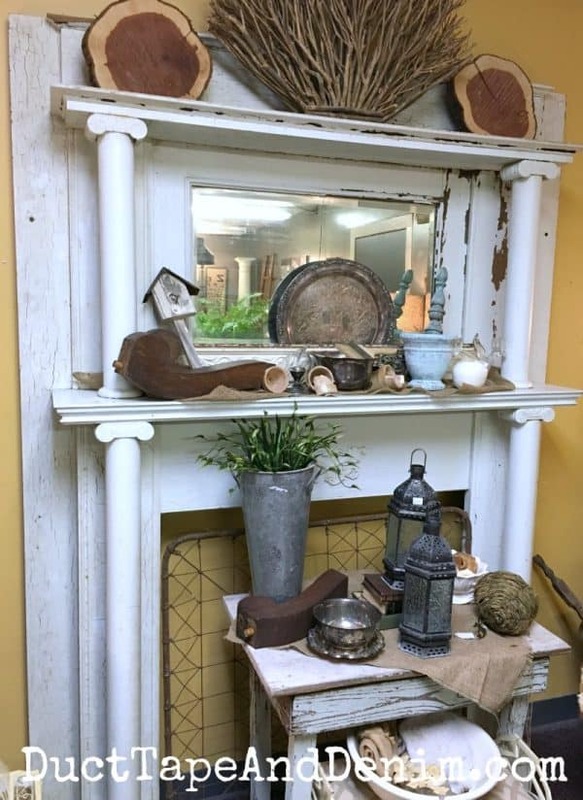 There’s always something about a vintage mantel. Even if you don’t have a fireplace, this would bring a beautiful focal point to your room. Leave a comment and let me know if you’ve found any fun vintage shops lately.